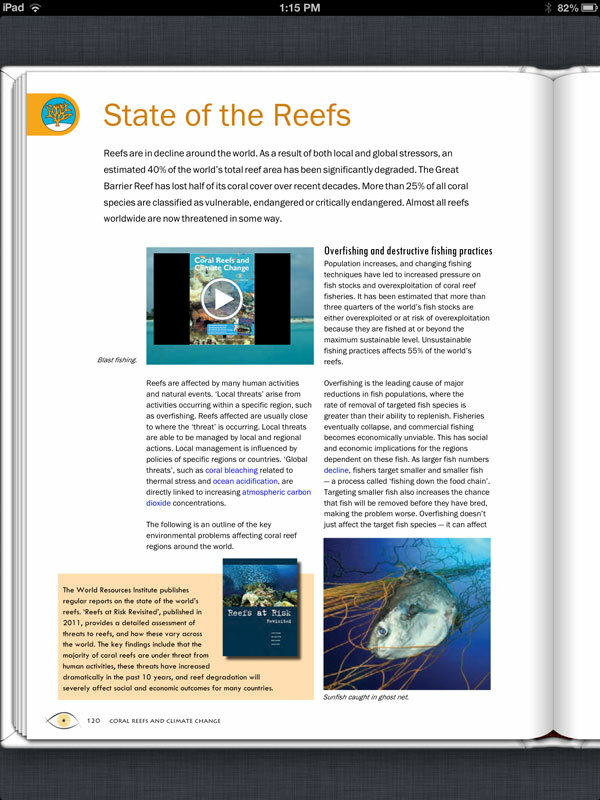 This project from the University of Queensland's Coral Watch projectinvolved converting a richly-designed 263-page book to fixed layout ePub. It was designer Diana Kleine's vision to also enhance the ebook version with video files. We set about recreating the layout for ePub, testing on our devices and working with Diana to create the right interface and user experience for playing the embedded videos. Once the final draft was approved, we then distributed their eBook to the Apple iTunes store. It was great working with Diana and we are glad that the Coral Reefs and Climate Change ebook turned out to be such a fantastic product! 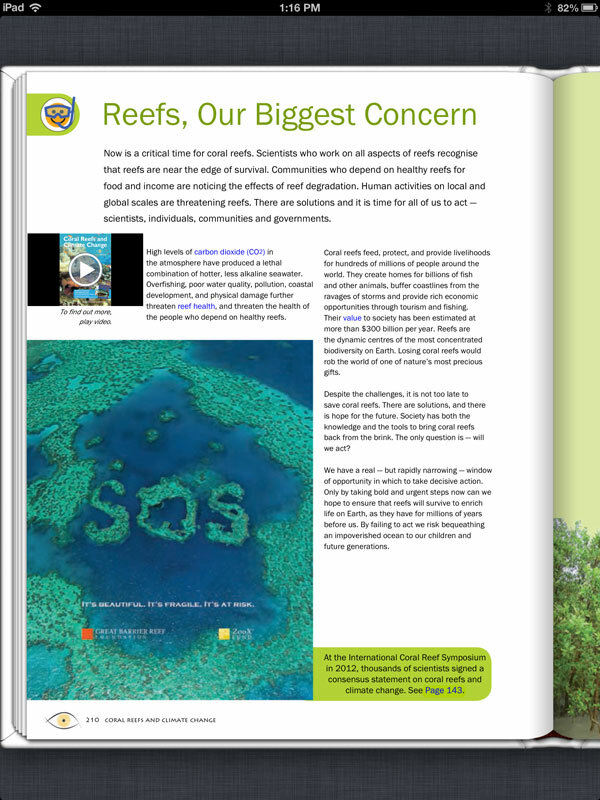 Coral Reefs and Climate Change focuses on coral reefs, the astonishing abundance of life within them and the impacts of climate change on this beautiful environment. 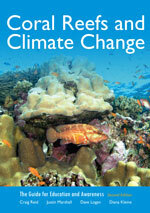 This book provides an accessible and thorough overview of oceanography, coral biology and reef ecology, climate change, and practical approaches to conservation. 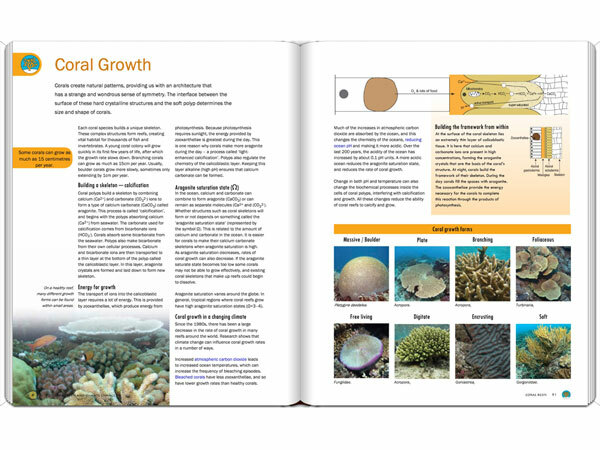 Beautifully illustrated, it brings the latest in coral reef science to students, enthusiasts and the general public. 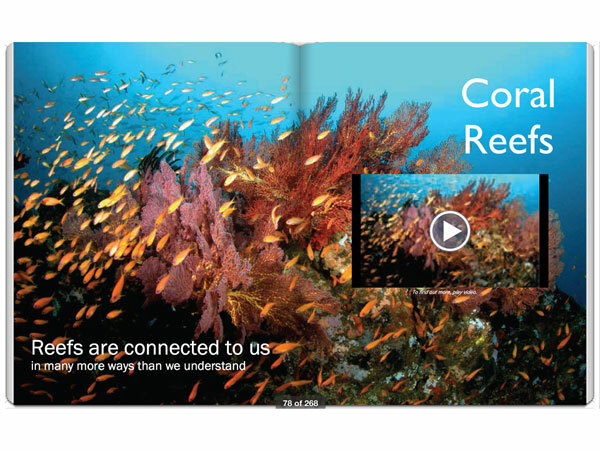 This book provides readers with the knowledge and inspiration to help ensure a future for our reefs. Special feature: 7 short videos embedded - bringing concepts from the book to life!